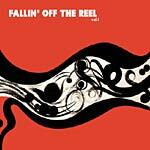 Truth and Soul Records issues this incredible compilation of funk and soul from the likes of El Michels Affair, Lee Fields & The Expressions, Funky Music Machine and more. These have never been on CD before, and can now be yours!!!! Includes the El Michels covers of two Wu Tang classics!